Already a publishing sensation in Europe, Joel Dicker’s The Truth About the Harry Quebert Affair (Penguin) is one of those books everyone has been talking about. It’s a novel held aloft by a lot of hype, and much of it is even deserved. It reads fast. 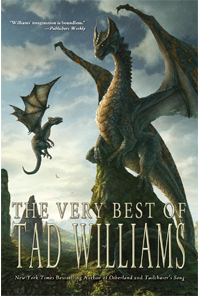 It’s got an intricate plot, and it’s been compared to The Girl with the Dragon Tattoo -- though in truth it has none of that book’s urgency or bowstring tautness or even its unspeakable violence. What it does have is a boatload of characters you come to care about and a story that will keep you guessing. It even tries to give itself some meaning. What more could you want? The Truth About the Harry Quebert Affair is a novel about perception. Dicker, in his first novel, reveals that he is a master at creating perception based on perspective. Whereas most novels are told from one point of view, this one is told in several, all happening at once -- or what seems like at once. The plot centers on three people: Marcus Goldman, a young novelist whose college professor inspired him to become a writer; Harry Quebert, the professor, a successful novelist now enjoying his twilight years; and Nola Kellergan, the young woman Harry loved, but who was murdered 33 years ago, leaving him alone and destroyed. The story jumps back and forth in time constantly between 2008 and events leading up to Nola’s murder in 1970. In short, filmic scenes, we spend a lot of time with all three of them, as well as with many other members of the small New Hampshire town where they live. Much of the book follows Marcus’s investigation into Nola’s murder, trying to uncover secrets that both bind the town together and threaten to rip it apart at the seams. We read many parts of the story over and over again, from different points of view, and each time a new detail or motivation or lie is revealed. There are assumptions, there are lies, there’s regret, there are actions and consequences, and there is, eventually, truth. They say that there are three versions of any story: what I think happened, what you think happened, and what actually happened. This book is about all three, except there are more like twenty. This is why I say the book is about perception. There can be only one truth about who murdered Nola -- as well as why and how -- but the novel offers up many of them before we finally learn the one that really matters. Dicker’s gift is that he doesn’t seem to be playing with the reader; instead, he’s having fun with his characters, and we’re just watching. He knows these people, and he wants them to know the solution as much as they themselves do -- and as much as we do. The Truth About the Harry Quebert Affair is terrific fun -- and it deserves a place in your beach bag. Now, having said all that, I also have to stand back and wonder why I wasn’t blown away, as I thought I would be -- and as the hype assured me I would be. As involving as it is, I have to admit that sometimes this book is written in a way that makes what’s happening in Somerset sound like a badly written arc of As the World Turns. I attribute this, at least some of it, to the translator. His take has turned what could have been a tight, relentless thriller into a book that’s, well, not so thrilling. Captivating, yes. Fun, yes. But shocking, disturbing, dark, like Steig Larsson’s trilogy? No. The action unfolds at a few key locations: the town’s diner, Marcus’ house (he borrows it from Harry), another house or two, the roads in and around town. You get the whole small-townness of the setting, the closing of the ranks as an outsider comes poking around. There’s serious threat, and there are serious secrets that beg to be uncovered once the clues are assembled. But they’re assembled, it all comes to a close so nicely. So neatly. What I wanted was a loose end or two. I wanted messiness, especially from such a messy tale. Peppered throughout are tidbits about writing gleaned from conversations Harry had with Marcus when Marcus was his student. Harry tells him how to write a novel, a novel people will lose themselves in, a novel people will talk about. Much of the advice makes sense, and I suppose Dicker follows all the advice well, because I was drawn in, intrigued, and pretty well satisfied. But still, except for a few choice moments, The Truth About the Harry Quebert Affair feels very surface to me, very shallow, and that’s a shame. 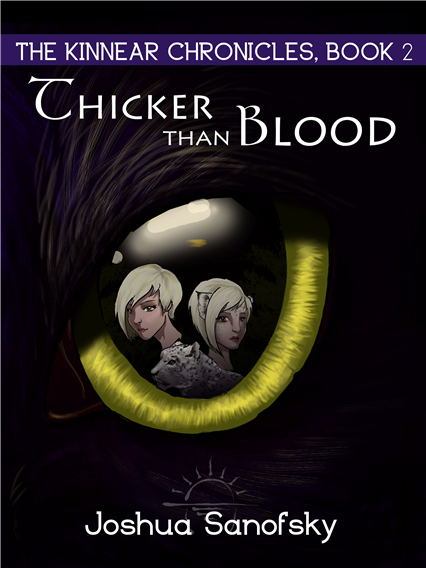 Because I think it’s more than that, and I think Dicker set out to do more than that. In a way, the tidbits, while interesting, undermine the tale they’re meant to illuminate. They’re almost a series of winks from the author that in some small way taint the novel itself. They don’t break the fourth wall, but they very nearly do, the way, say, blood spatters on a camera lens remind you that you’re watching a movie, when that’s the last thing you want. Le Journal du Dimanche, in France, said: “If you dip your toes into this major novel, you’re finished; you won’t be able to keep from sprinting through to the last page.” The sprinting part is true. But to call The Truth About the Harry Quebert Affair a major novel is the problem. It’s big, at 643 pages. But major? I wish. 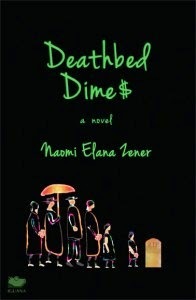 Deathbed Dimes exposes the reality that if you can outlive your relatives, friends, and sometimes even strangers, your odds of hitting the inheritance jackpot are better than playing the lottery. Joely Zeller is a beautiful and ambitious 32-year-old attorney who is the only daughter of a Hollywood firm royal. She’s determined to build a successful career, find love, and get married, all without her family’s help. Most readers have probably forgotten Carolyn Weston (1921-2001), but she was the author of three novels featuring a pair of Santa Monica, California, police detectives, Sergeant Al Krug and Detective Casey Kellog. The first of those, 1972’s Poor, Poor Ophelia, inspired the 1972-1977 ABC-TV drama The Streets of San Francisco. We’ll let you know more about this as we hear it. 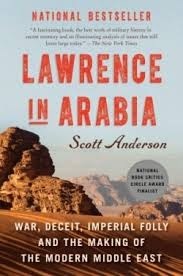 Scott Anderson (Moonlight Hotel, The Man Who Tried to Save the World) brings the gravitas of an accomplished novelist and war correspondent to Lawrence in Arabia (Anchor Books). This is a stellar look at some of the major issues in the Middle East and the influence that early 19th century outsiders, including Lawrence of Arabia’s TH Lawrence, had on the direction in which the modern Middle East was formed. The writing here is breathtaking (and the book was a finalist for the National Book Critics Circle Award in 2013) and the research it must have taken actually set me aback: this is an intricate work, well beyond the scope of anything you’re imagining. Arrested for the destruction of her home town, Alys is soon tasked with one of her most dangerous cases to date. A series of grisly slayings in London, all with mysterious ties to Alys and her familiars, causes Scotland Yard Detective Inspector Ben Donovan to enlist the aid of the Yard’s prime suspect... Alys herself! But does the good detective have an ulterior motive for wanting to work so closely with her? Every year at this time, the book universe gathers to celebrate itself (and why shouldn’t it?) at Book Expo America. This is the spot to be if you’re a book lover. But good luck getting in. It’s not open to the public -- except for a little bit. But more on that later. This year, BEA was held at the massive Jacob Javits Convention Center in NYC. In years past, Javits was filled to bursting with BEA-ness. More recently, it’s been a bit smaller, mostly confined to the main exhibit hall and select meeting rooms downstairs. What happens at BEA? Books. This is where publishers from all over the world showcase the big books coming out between spring and Christmas. So it’s around six or seven months of bestsellers-to-be, all revealed at once in one form or another. By which I mean, glossy jackets displayed in fancy digital frames at one end, and deluxe, hard-to-get-your-hands-on advance copies at the other. Oh, and it also means book-world celebs: authors, movie and TV and music stars, all crashing into one giant melting pot of literary yumminess. The big publishers -- Random House, Penguin, HarperCollins, Hachette, Macmillan, and their ilk -- hand out advance copies or arrange them in neat stacks on the floor, free for the taking. Think: kid in a candy store where your money’s no good. Some only give out books when their authors do signings in the booth or at one of the 20 autographing tables where the lines can range from, say, two people to 200. When a publisher brings in a movie star or Anne Rice or Pat Conroy or some other name author, there’s a line. A long one. When they bring in a debut novelist with no name but an interesting book, it’s more manageable. Either way, it’s a blast. You get a few precious seconds with your favorite author, and then you get a signed book that feels like a bar of gold in your hand. This year, Billy Idol and Jason Segel signed little previews of their books. Neil Patrick Harris and Jane Lynch signed posters. Jodi Picoult, Alan Furst, Karin Slaughter, Lorenzo Carcaterra, Ben Mezrich, Tracy Letts, Colm Toibin and a starfield of other authors came to sign advance copies of their new books for adoring fans -- and by adoring fans I mean booksellers, librarians, VIPs and members of the press. A walk through the aisles reveals editors, publishers, agents, publicists and authors. Unless you know their faces, you spend a lot of time with your eyes cast down so you can read their badges. It’s kind of funny, actually, how eye contact is made only when you know the face -- or suddenly, the name. Either way, it’s great fun. This year was also the inaugural year for BookCon. This one-day public event was held inside the exhibit hall. For around 30 bucks anyone could come in, mingle, attend some very cool star-studded Q&A sessions and grab books. When people who love to read come together with those who write, there’s a genuine frisson. When a kid who loves to read comes face-to-face with the author of her favorite book, prepare for wide eyes, some respectful screaming and sometimes tears. To people who love to read, authors are rock stars. BookCon brings them together, and everyone wins. Readers, authors and publishers. Across BEA and BookCon, the highlight events were a reception for Hilary Clinton, whose new book, Hard Choices, will be out in a week; separate events headlined by Tina Fey and Amy Poehler; a session in which John Green schmoozed with the director of The Fault in Our Stars about making the movie; and one more in which David Mitchell gave away some secrets about his writing process. And on and on and on. In a word, this year’s BEA was pretty awesome. Next year’s will have a new world of treasures. If you can snag a ticket, do. I’ll see you there. 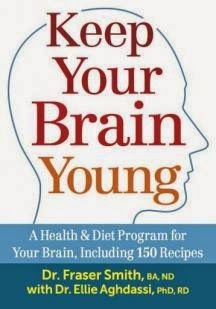 Keep Your Brain Young (Robert Rose) was hanging around my desk for a while before I realized it was, among other things, a cookbook. “You are what you eat,” reverberated through my mind. Prior to that I’d thought it was just my editor’s barb that I was no longer as young and sharp as I was when I started writing for January Magazine many moons ago and high time I began looking for ways to keep the old thinking machine sharp and strong. This book offers the promise of protecting, repairing, and enhancing your mental health while coincidentally improving your general physical well-being. Which sounded like a good start. Part 2 of the book deals with “Smart Nutrients,” how to get them and what the lack of them can cause. Then the “12-Step Healthy Brain Diet Program,” which leads quite naturally to Part 5: “Menu Plans and Recipes for a Healthy Brain” which is a good two thirds of the book. In addition to recipes, meal plans are included and encouraged, but the recipes take center stage. Nutritional information is included on each recipe page as is a detailed ingredients list and clear instructions. Joely Zeller, a beautiful and ambitious 32-year-old attorney is the only daughter of a Hollywood film royal. She’s determined to build a successful career, find love, and get married, all without the help of her family. To emerge from under her parents’ cloud of notoriety, Joely flees to New York to practice estates and trust law at a blue-chip Wall Street law firm. Enduring 90-hour workweeks for the next six years, she sacrifices her love life, only to have her career efforts foiled by her incredibly incompetent male counterpart. Joely then sees her golden ticket to self-actualization. With her experience and her Hollywood connections, she could start her own law firm back in Los Angeles. With her two best friends and former law classmates as partners, Joely sets about helping the recently disowned, dispossessed, and penniless sharpen their claws as they stake their claims to the fortunes of their dearly departed. When it comes to slapping down an insult, which author takes top honors? 10. “I misjudged you... You’re not a moron. You’re only a case of arrested development.” — The Sun Also Rises, Ernest Hemingway (character: Harvey Stone).